How to Choose the Best Anti-Aging Moisturizer? Wrinkles, fine lines, and other signs of skin aging appear as we age because processes that are linked with skin cell repair gradually slow down. Much of the cause and effect of skin aging has something to do with lost skin moisture which, in turn, causes decreased skin elasticity. You should know the tips on how to choose the best anti- aging moisturizer, for you to get radiant and glowing skin. When skin loses the ability to capture and lock in moisture over long periods of time, creases and folds begin to form and skin starts to sag. Therefore, no anti-aging regimen can be complete without incorporating anti-aging moisturizers into the daily routine. 1. Choose an anti-aging moisturizer that suits your age and skin type. Moisturizers generally do wonders to your skin but, there must be a specific formulation that fits you best. Those with aging skin may need anti-aging moisturizers that are infused with active ingredients like hyaluronic acid and peptides. Anti wrinkle moisturizer will hydrate your skin and at the same time fade away aging signs. 2. 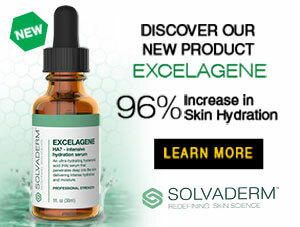 Choose a moisturizer produced by a reputable manufacturer. If a moisturizer is formulated by a reputable manufacturer, there’s a good chance that the product went through a rigorous R&D process. 3. Choose a daytime moisturizer that incorporates sunscreen. Any daytime moisturizer must contain a sunscreen with a sun protection factor (SPF) of 30 or more. 4. When signs of skin aging begin to appear, your night time moisturizer must contain retinoids. Retinoids breakdown easily upon exposure UV rays and makes skin ultrasensitive to the sun. Thus, retinoids must only be used at night. 1. Neutrogena Rapid Wrinkle Repair Moisturizer with SPF 30. This is the best moisturizer for older skin. Infused with the power of three: hyaluronic acid to improve skin moisture, sustained action retinol that has the ability to penetrate deeper into the skin, and glucose complex that results to immediate lifting and firming of skin, Neutrogena Rapid Wrinkle Moisturizer brightens skin tone, lifts even the most stubborn wrinkles, and smoothens skin texture for just a little over US$20. Our formula has our most concentrated amino-peptide complex and hydrates to lift, firm and micro-sculpt your look for younger-looking skin around the eyes, jawline and neck. 2. Olay Regenerist Micro-Sculpting Face Cream. Containing high concentrations of amino-peptide complex, this anti-aging cream not only helps keep skin hydrated but also lifts and firms up skin. 3. RoC Multi Correxion Lift Anti-Gravity Day Moisturizer with SPF 30. This daytime moisturizer is already infused with an SPF 30 broad spectrum sunscreen. More than just keeping skin soft and supple, this cream works best at improving uneven skin tone and texture, in lightening dark spots, and in improving the appearance of wrinkles. 4. Lancôme Visionnaire Advanced Skin Corrector. If you have extra money to spend, it will be wise to shell out US$90 for this skin firming serum. This product also contains active ingredients that improves the appearance of dark spits. 5. Fresh Sugar Acai Age-Delay Body Cream. Long touted for its skin moisturizing and firming abilities, this product has been on top of the best moisturizers list. It leaves skin feeling firm for approximately US$65. 6. Aveeno Positively Ageless Skin Strengthening Body Cream. The cheapest product on this list, at just a little over US$10, this product leaves skin soft, smooth, and firm plus the mild scent but minus the grease. 7. Neova Day Therapy with SPF 30. This product contains a variety of anti-aging ingredietns including copper peptide complex which rejuvenates skin cells and boosts skin repair and restructuring; antioxidants that help protect cells from damage; and, SPF which protects the skin from the damaging UV rays. 8. RoC Retinol Correxion Deep Wrinle Daily Mositurizer with SPF 30. The other RoC product in this list, this product combines the age-defying and age-reversing power of retinol with the protective effect of a broadspectrum sunscreen to prevent premature aging and improve the appearance off deep wrinkles. 9. LaseResults AM Repair and Protect with SPF30. If you’re looking for an anti-aging moisturizer that does more preventing than correcting, this product will suit your needs. It contains CRV-* complex and antioxidants that help boost skin cell turnover and renewal, keeping skin smooth and younger-looking all the time. 10. Kiehl’s Abyssine Cream. Hailed for its super absorbent formula, this product is perfect for people with dry skin. It leaves skin ultrahydrated without irritating skin. It gives users a youthful glow and minimizes the appearance of fine lines. When it comes to anti-aging products, it doesn’t matter how much your bottle costs. What’s important is you’re choosing the product that addresses your skin issues best and which are appropriate to your age and skin type. Before buying, spy the market and look for the best anti- aging moisturizer & cream such as Le Jeune Ultra Premium Anti Wrinkle Complex.